Day Four and He's Halfway to London! 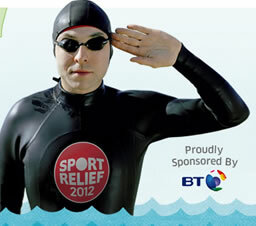 Day four and David Walliams is still battling the nasty bacteria bug that has left him sick for over 24 hours. The exhausted comedian is struggling to keep even the smallest amount of food down, making the marathon challenge, which normally demands 8,000 calories a day, even tougher. He is currently expected to reach London by Sunday. 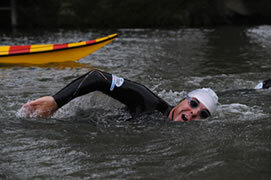 By Thursday evening however, he had swum another nine miles - making a total of 62 in all - to reach Caversham, where he was again greeted by crowds of cheering supporters. You can watch a video of him reaching his goal here. With his body cramping and his appetite failing, David has only managed to stomach a measly piece of toast, a flat cola and several glucose tablets so far today – a far cry from the carbohydrate overload that his body needs to complete the challenge. Although David is constantly swimming, the bug has meant his pace is a lot slower and his planned schedule is looking doubtful.